On the morning of January 4, 2019, the world became a more diminished place when our incredible mother, grandmother, and great-grandmother Irene Gummeson peacefully left this world at the Cascade Hospice in Chilliwack, BC. (Helen) Irene Gummeson was born at the family home in Beechy, Saskatchewan on a wintry prairie day on February 3, 1930, the fifth of six children, to Maria and Bernardt Banman, refugees to Canada 6 years earlier from the turmoil of the Russian Revolution. In 1933 the family moved from the dust bowl of the Prairies to beautiful, green BC. They settled near East Chilliwack Elementary School until Irene’s high school days when they moved to a raspberry and chicken farm on Broadway St.
After she completed Gr. 13 at Chilliwack Senior Secondary, Irene worked as a pharmacy assistant at Hipwell Drugs at Five Corners. In 1951 she married Merrill (Mike) Gummeson, a good friend of her youngest brother Leo. The young couple bought a little cabin at Cultus Lake where their first child Diane was born. Over the years Leonard, Ken and Karen came along and they moved to larger and larger homes to accommodate their growing family. Mike and his business partner Al Jesperson built Fraser Valley Tire in 1957 and ran it as a going concern until they sold it in 1973 to the Tireland chain. This provided the opportunity for Mike to follow his dreams and purchase a home at Germansen Landing, BC and become a hunting and fishing guide. Irene gladly followed Mike into this new adventure at pioneer life, 140 miles from the nearest town. Tragedy struck in the summer of 1976 when Mike and Len were killed in the crash of a charter aircraft. Irene moved back to the Lower Mainland, raised two teenagers, built a new life for herself, became a successful real estate agent, and the first female President of the Chilliwack and District Real Estate Board. In 1988 Jake Block, an old friend of Mike’s and Leo’s moved back to Chilliwack. Soon they were inseparable. They were married in 1997 and in total spent more than 25 happy years together until Jake’s death in 2014. Along the way, Irene became the grandmother of 8, then the great grandmother of 5 more. She always said that her children, grandchildren, and great grandchildren were her greatest accomplishments in life. Irene is survived by her daughters Diane (Tom) Hamel, Karen (Julian) Plamondon, son Ken (Shelley) Gummeson, granddaughters Jennifer Friesen, Emily Hamel, Laura de Fleuriot, Katie Plamondon, grandsons Jeffrey Hamel, Andrew Gummeson, Mathew Gummeson, Joel Plamondon, and five great grandchildren (Benno, Cate, John, Maggie and Remi) as well as Jake’s many family members who were so dear and welcoming to her. 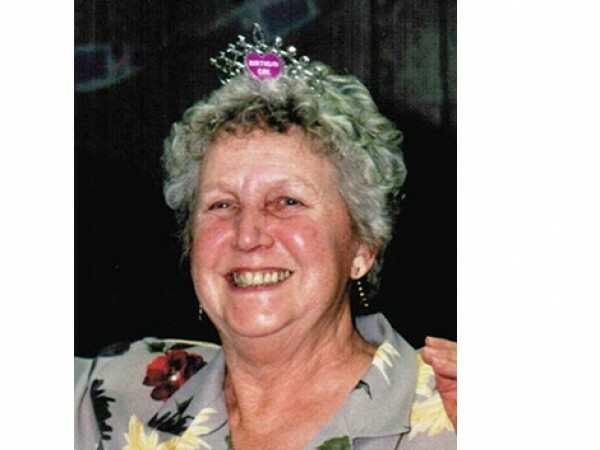 She will also be remembered lovingly as the ‘favorite aunt’ of many nieces and nephews in both the Banman and Gummeson families. She was predeceased by her first husband Merrill (Mike) Gummeson, son Leonard Gummeson, second husband Jake Block, parents Maria and Bernhardt Banman, her sisters Nettie Lee, Margaret Latham, and Elsie Penner, her brothers Henry and Leo, nephews Jim Latham, Sid Banman, Bernie Banman, Doug Banman, and niece Kathy Jashinski. A memorial service will be held at the Camp River Community Hall at 50246 Camp River Rd, Chilliwack BC on Monday, April 22 at 1 pm. All who knew and loved her are welcome to attend. In lieu of flowers, if you feel so moved, please send a donation in her memory to the charity of your choice.